August 10 to September 7 (Officials) – the Cross Country Clinic will be online only and may be viewed at no charge during this period. 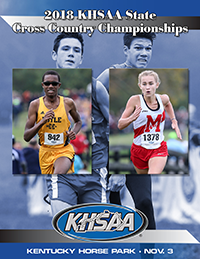 September 8 to October 12 (Officials) – the Cross Country Clinic will be online only and may be viewed for the makeup fee ($30) during this period. October 13 to October 26 (Officials) – the Cross Country Clinic will be online only and may be viewed for the makeup fee ($60) per the Bylaw 27 schedule during this period. After this time, postseason penalties per Bylaw 27 will apply. August 10 to September 7 (Coaches) – the Cross Country Clinic will be online only and may be viewed at no charge during this period. September 8 to October 5 (Coaches) – the Cross Country Clinic will be online only and may be viewed for the makeup fee ($100) during this period. October 6 to October 29 (Coaches) – the Cross Country Clinic will be online only and may be viewed for the makeup fee ($200) per the Bylaw 27 schedule during this period. After this time, postseason penalties per Bylaw 27 will apply.